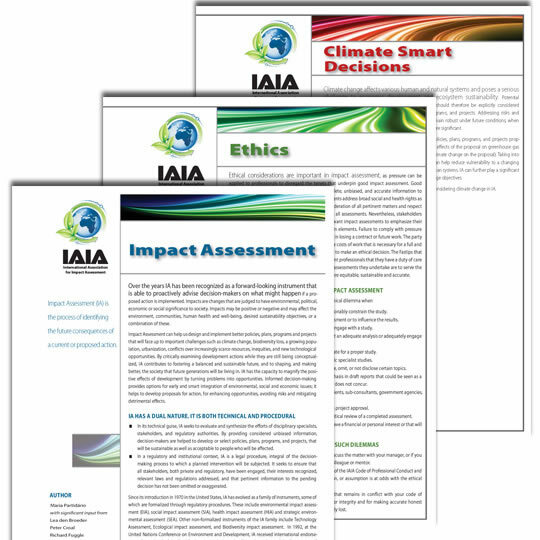 IAPA: IAIA's quarterly journal, Impact Assessment and Project Appraisal, contains a variety of peer-reviewed research articles, professional practice ideas, and book reviews of recently published titles. FasTIPS: The FasTips series offers practical clarification on frequently asked questions. FasTips provide quick advice when there is no time for investigating or reviewing formal guidances. Best Practice: The International Best Practice Principles series covers a variety of impact assessment topical areas, sharing best practices for practitioners. 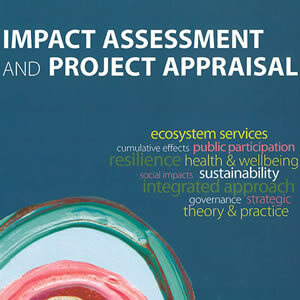 Key Citations: The Key Citations series serves as a source of information about the different subfields of impact assessment, each listing a selection of readily-available publications. 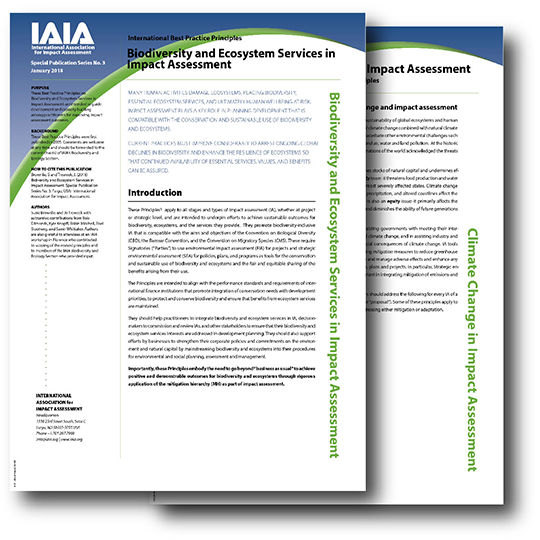 REFERENCE & GUIDANCE DOCUMENTS: Download a variety of resources, including "What is Impact Assessment?" 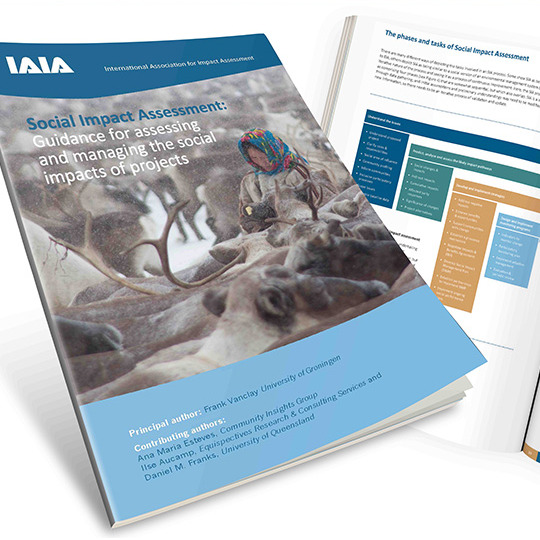 and a full-length Social Impact Assessment Guidance Publication. 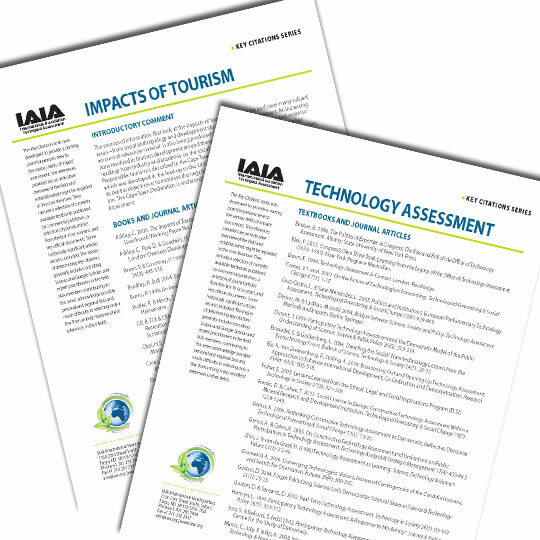 Click here to download the IAIA Publication Policies and Procedures document, which describes the processes and standards used for developing, reviewing, and publishing documents under the IAIA banner.